VATICAN CITY (CNS) — As people in Paris and around the world watched in horror as flames consumed the roof of Notre Dame Cathedral, the blaze also stirred genuine emotions that could come only from witnessing the loss of beauty, art historian Elizabeth Lev said. The April 15 fire that engulfed the centuries-old Gothic cathedral showed that although Notre Dame was a formidable structure, it was “vulnerable at the same time, much like Our Lady at the foot of the cross,” Lev told Catholic News Service April 17. “People saw a thing of beauty — universally recognized beauty — hovering on the brink of destruction and realized that beauty does matter to us after all,” she said. Up to 500 firefighters battled for 15 hours to save the cathedral after flames erupted in the structure’s attic. The blaze quickly consumed two-thirds of the 13th-century oak roof and brought down the cathedral’s 300-foot spire. Authorities said much of the cathedral’s wooden interior was destroyed and its masonry was seriously scorched. “I studied it, then went to see it and, a few years ago, I started lecturing on it. 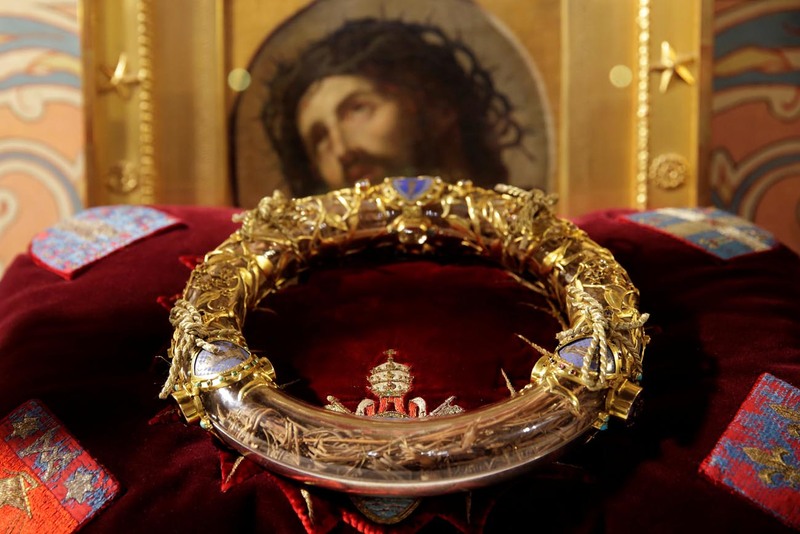 I’ve gone to Mass there and venerated the crown of thorns. It was like having a pen pal, then becoming friends but then being abruptly and brutally separated,” she said. Regarded as a crown jewel of medieval Gothic architecture, Notre Dame Cathedral stands “in the geographical center of the city” and bore witness to major events, including the Reformation, the French Revolution, the Paris Riots and the Nazi occupation of France during World War II, Lev explained.